Of the almost 49,000 employees in Temecula, California, how many employees have been wrongfully terminated? Although some people might believe otherwise, wrongful terminations are very common. Concerning numbers of employees are terminated for invalid reasons every day. Do you believe that your Temecula employer fired you illegally? Do you believe that you were wrongfully terminated? If so, you should seek legal assistance as soon as possible – as you might have grounds to take action against your employer. If you would like to discuss your current situation with experts on wrongful termination, do not hesitate to contact California Labor Law Employment Attorneys Group today. California Labor Law Employment Attorneys Group is an employment law firm with many years of experience handling different employment claims and always fighting to represent the rights of victimized employees. If you would like our wrongful termination lawyers to handle your claim and provide you with the guidance that you need to take action against your employer, do not hesitate to contact our law firm at your earliest convenience. Our Temecula wrongful termination attorneys are ready to represent you. An employer fires a 50-year-old employee because she is “too old” to represent the company. An employer fires a pregnant employee to avoid having to provide her with job-secured maternity leave. An employer fires an employee after learning that the employee is of a specific religion. An employer fires an employee after he reports a safety violation in the workplace. If you would like to learn more about wrongful termination, do not hesitate to contact the experts at our law firm as soon as possible. Our wrongful termination lawyers are ready to represent you and help you take action against your employer. There are many employment laws on both the federal and state levels that are designed to protect employees from unfair treatment in the workplace, which often escalates to wrongful termination. Some of these laws include Title VII of the Civil Rights Act (federal) and the Fair Employment and Housing Act (state). Although the Fair Employment and Housing Act is inclusive and offers protections to nearly all employees, there have been a number of other laws/acts added on the federal level to expand on the protections offered by Title VII of the Civil Rights Act, such as the Age Discrimination in Employment Act and the Americans with Disabilities Act, for instance. In general, all employees should have a thorough understanding of all the laws that protect them in the workplace. If you would like to learn more about the different laws that establish your rights in the workplace, do not hesitate to seek legal assistance as soon as possible with the Temecula wrongful termination attorneys at our law firm. Could You Take Action against Your Employer? You could file a wrongful termination charge through the Equal Employment Opportunity Commission (EEOC). The EEOC is a federal employment agency that enforces laws and handles claims. You could file a wrongful termination charge through the Department of Fair Employment and Housing (DFEH). The DFEH is a state (Californian) employment agency that enforces laws and handles claims. You could pursue a civil lawsuit against your employer for your wrongful termination. You will have to first be granted the right to sue from either the EEOC or DFEH before you could pursue a civil lawsuit. If you would like to learn more about your right to take action against your employer, do not hesitate to seek legal assistance with the experts at California Labor Law Employment Attorneys Group. Our Temecula wrongful termination attorneys are ready to evaluate your claim and provide you with the information that you need to take action against your employer. If you would like to discuss your claim with our experts, contact us today. Lost income: compensation for all the income that was lost as a direct result of the termination, including both back pay and front pay. Lost benefits: compensation for all the benefits (health/life insurance, stocks, retirement plans) lost as a direct result of the termination. Pain and suffering: compensation for the mental and emotional distress caused by the termination, such as depression, anxiety, and embarrassment, for example. Punitive damages: compensation awarded to punish the employer in attempts of preventing similar incidents from reoccurring. In addition to the monetary compensation mentioned above, wrongfully terminated employees could also see other outcomes to their claims. In some cases, employers are required to change workplace policy. In other cases, employers are required to reinstate their employees. Depending on the details of your claim, you could be compensated in many ways. If you would like to learn more about the specific type of compensation that you could recover if your claim is successful, do not hesitate to seek legal assistance as soon as possible. The wrongful termination attorneys at California Labor Law Employment Attorneys Group are ready to evaluate your claim and provide you with the guidance that you need to receive the highest amount of compensation available for your claim. EEOC claims must be filed within 300 days. Civil lawsuits after receiving the right to sue from the EEOC must be filed within 90 days. DFEH claims must be filed within 1 year. Civil lawsuits after receiving the right to sue from the DFEH must be filed within 1 year. Are you willing to lose your right to take action against your employer because you failed to understand the deadline that applies to your claim? You probably wouldn’t like to lose your right to sue due to a lack of information. Because of that, we suggest that you seek legal assistance as soon as possible with the Temecula wrongful termination attorneys at California Labor Law Employment Attorneys Group. Our wrongful termination lawyers are ready to evaluate your claim and provide you with the information that you need to take action against your employer within the appropriate length of time. 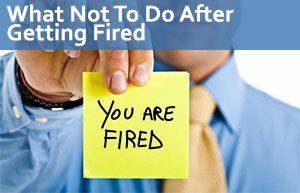 If you believe that you were wrongfully terminated, you might have grounds to take action against your employer. Depending on the details of how you were wrongfully terminated, you might also be eligible to receive compensation for your termination. If you would like to discuss your wrongful termination claim with Temecula wrongful termination attorneys, you should contact the experts at California Labor Law Employment Attorneys Group today. Our firm has dedicated many years to fighting for the rights of employees and holding employers accountable for their actions. If you would like to discuss your claim with our knowledgeable lawyers, contact us as soon as possible. Our firm is dedicated to representing all victims of wrongful termination; therefore, we offer both free consultations and free second opinions. During our free consultations and free second opinions, our lawyers will be available to answer all your questions and address all your concerns. Our wrongful termination lawyers are ready to provide you with the legal assistance that you need to take action against your employer – whether you are interested in beginning or continuing your claim. If you would like to schedule a free consultation or a free second opinion, do not hesitate to contact our law firm at your earliest convenience. Our wrongful termination lawyers in Temecula are ready to fight for your employment rights. Our firm offers a Zero-Fee guarantee that ensures that our clients never have to worry about paying any expensive legal fees for any of our legal services. Our law firm is also based on contingency; therefore, our clients will not be required to pay for anything until after their claims are successful. Even then, all fees will come from the compensation recovered – meaning that there will be no out-of-pocket costs for our clients. If you would like to begin or continue your legal process with the assistance of our lawyers, do not hesitate to contact our law firm today to discuss your claim with our attorneys.